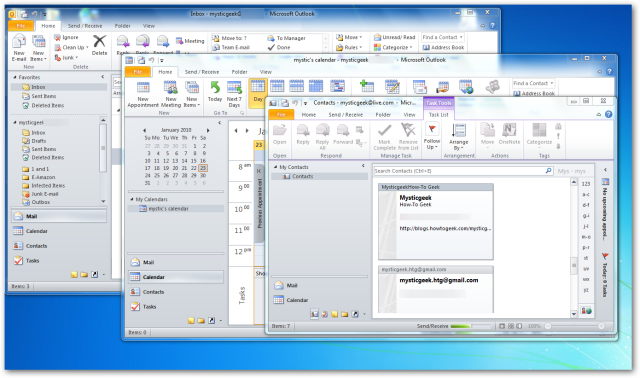 If you work in Outlook for much of the workday, you may find it annoying having to navigate from Mail View to Calendar, then Contacts…etc. 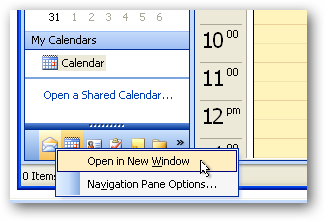 Today we show you a cool quick tip that will allow you to open each feature in a new Window. 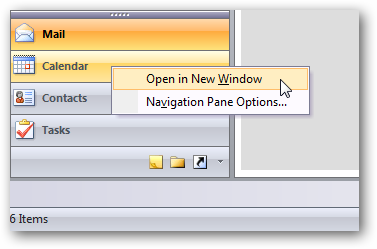 Open up Outlook and in the Navigation Pane right-click Calendar and select Open in New Window. Now you can do this for any feature you want to have open in a new window. 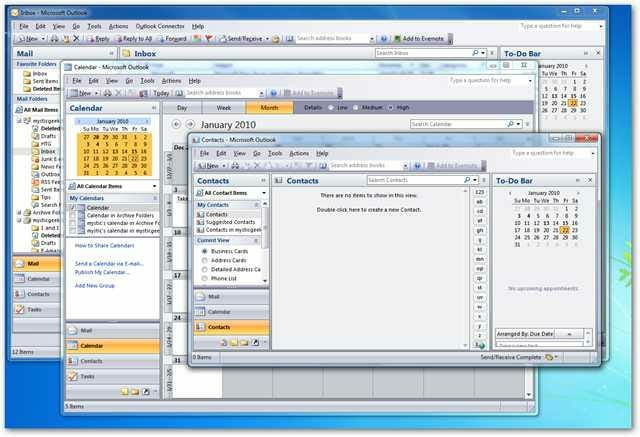 For example here we have Calendar, Contacts, and Mail each open in their own separate window. Now if you’re using Windows 7 you can easily switch between windows with the new Taskbar. Or you can use the “Alt+Tab” key combination if you prefer especially in earlier versions. And and for Outlook 2003 as well. This is a simple tip, but can be very effective in helping you get work done easier and more quickly.